Well, as of the second issue, this series will be getting a back-up strip as well. With the second issue of Exit Stage Left: The Snagglepuss Chronicles, readers will get getting an extra story with a new character, the Sasquatch Detective! 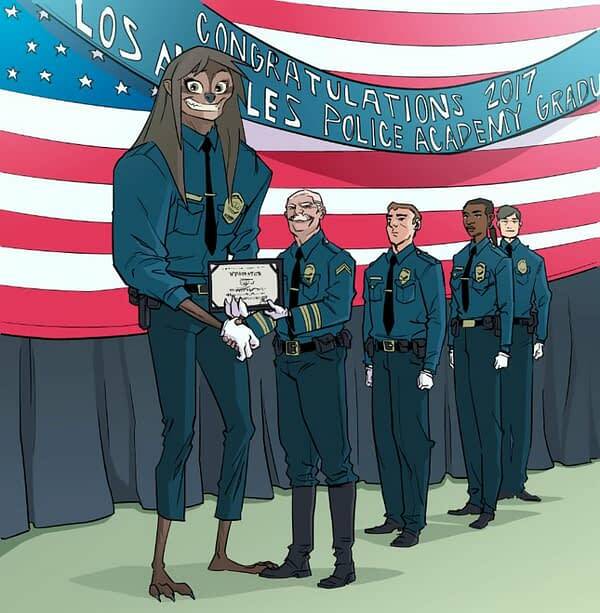 A six-page strip written by writer/actor Brandee Stilwell with art by Gus Vazquez, it sees a sasquatch joining the Los Angeles Police Department. The story will continue in subsequent issues, and the price will remain at $3.99.